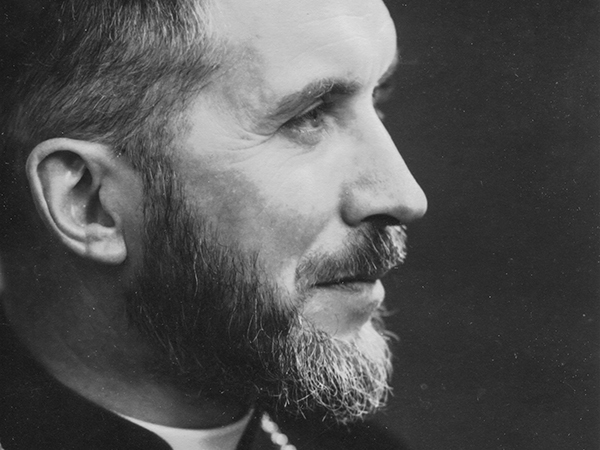 What sort of a man was Marcel Lefebvre? The media liked to present him as headstrong, stubborn or proud, as an idealist or an agitator: was not his relationship with Paul VI the fruit of pure stubbornness? Some accuse him of being impulsive or imprudent: his famous November 21, 1974 declaration seems outrageous to them, and incurs the condemnation of his whole work. If we look beyond the cliches, Archbishop Lefebvre’s personality proves throughout his whole life to have been that of a gentle and firm man, totally consecrated to Jesus Christ and His Church. "Wonderful man, with self-control, courteous, suaveness itself, and amazingly open in his conversation, saying what he thought, describing his stances that were so subtle and so certain... and in contrast, he had a very gentle voice."